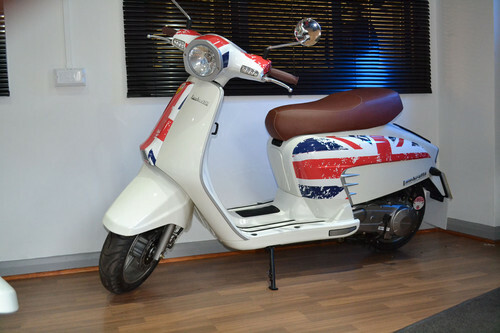 I haven’t posted anything about the LN or it’s sibling modern Lambrettas* recently, as they’re not really my bag… and there hasn’t been anything new to report. I don’t know how they are selling, and I certainly haven’t seen one on the road, but I wish them well. 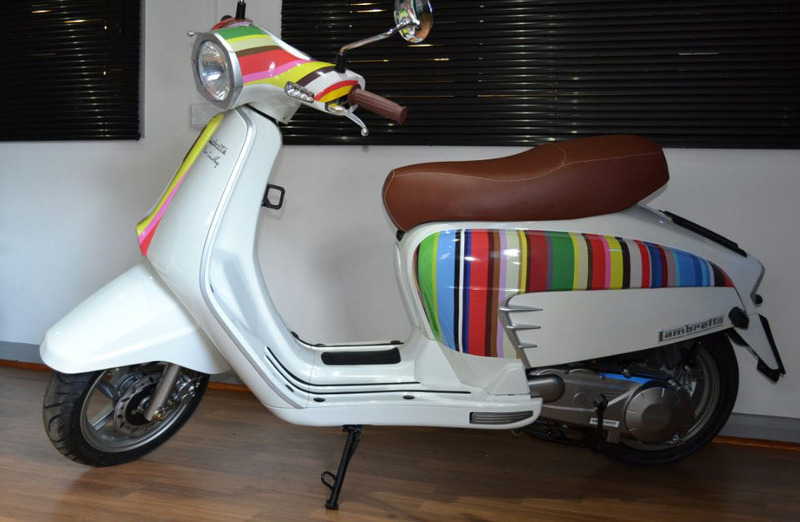 If the marketing department at Motom* had any imagination, they’d sign up a Lambretta blogger, and let him (or her) have one for an extended test drive. Say six months. 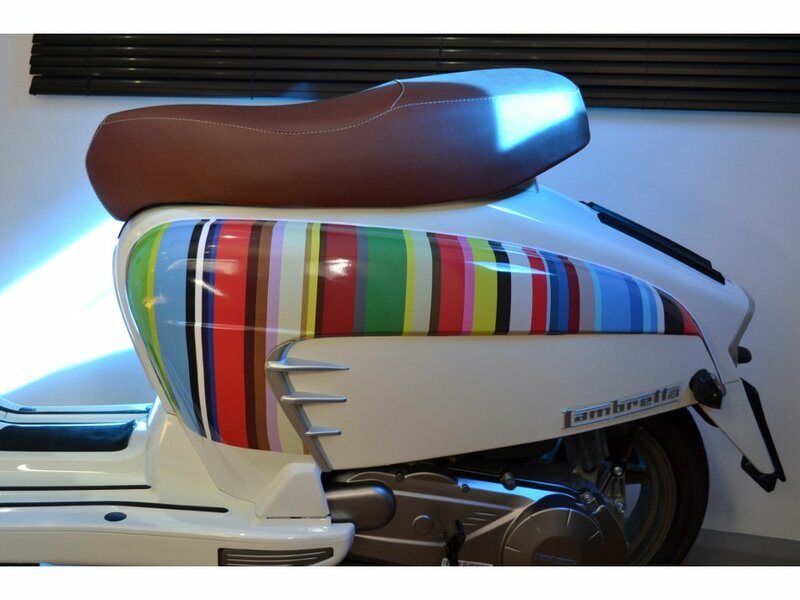 By the way… on the last count The Lambrettista blog is read in more than 70 countries. Just saying. Anyway… at but I thought this was quite interesting. Had to look twice at this LN on eBay. I thought it was an official Paul Smith licensed product, but it’s clearly a fairly clever knock off. I wouldn’t be totally surprised if Mr Smith had been involved, as he was allegedly a mod as a young man, and his work retains a certain ‘mod aesthetic’… but if he had it would have been all over the papers. Another marketing opportunity missed? There I go, off on a tangent again. 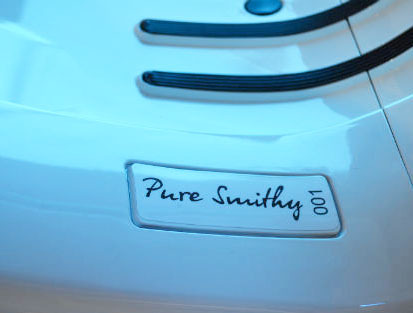 Back to the original point of this post, which was, that the LN is now starting to appear in different incarnations, customised, much as dealers would customise ‘proper’ Lambrettas back in the day… I’ve no particular opinion on whether this is a good, or bad thing… it’s just interesting. Mildly. Well, I thought so. If it floats your boat, and you’ve got a spare £3k knocking around, you can get one here. And they’ll give you a fiver change. It’s being sold by the Pure Group, in Harrogate if you don’t do eBay. 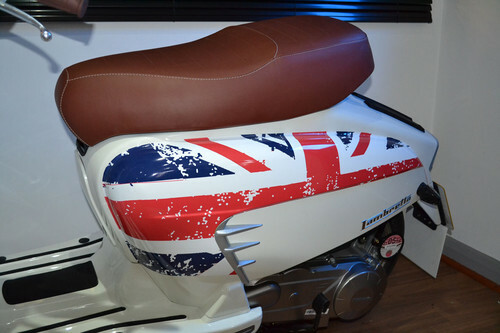 And if the Paul Smith look isn’t up your strasse… there’s a distressed union jack version. A bit ‘comedy mod’ for me, that one, I’m afraid. 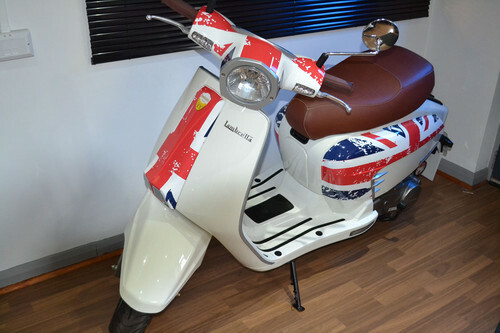 *Motom Electronics Group are one of the claimants of the Lambretta name. There’s a trademark/license document here that explains it all in legalese. 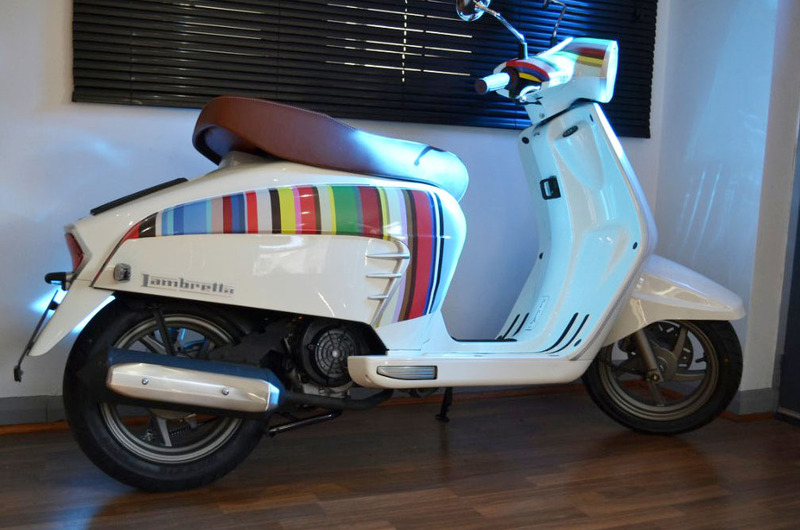 My thoughts can be found on this site if you stick Lambretta LN into the “handy searchbar” (that’s one for the “stuffyoushouldknow” podcast listeners). 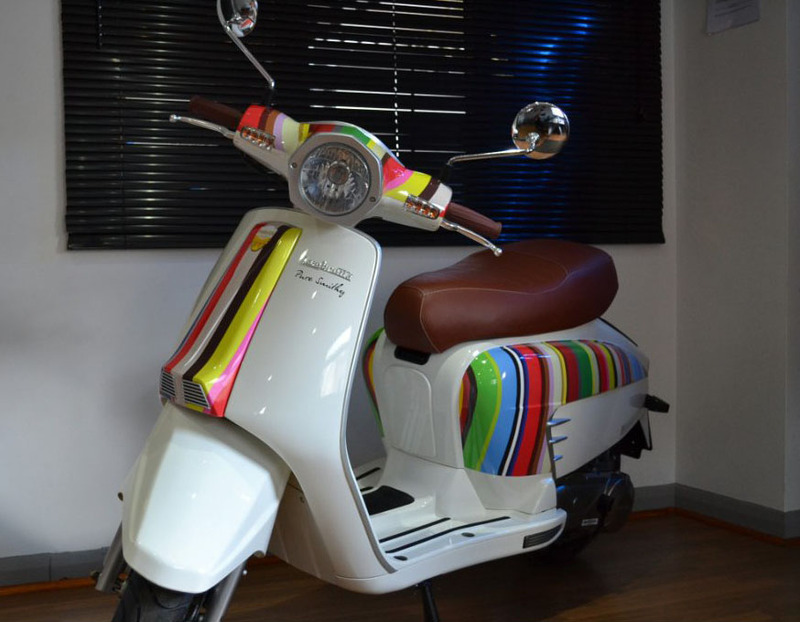 This entry was posted in Customisation, For Sale, Not a Lambretta, Scooters and tagged auto, Automatic, Dealer Special, eBay, Harrogate, Lambretta, Lambrettista, New Lambretta, Paul Smith, Pure by crocodilejock. Bookmark the permalink.